The land area is classified as public domain and customary domain. 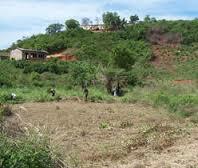 Land belonging to the State are administered by the National Commission Crown (National Land Commission). The regional commissions extend their administrative functions to the customary sector. In 1993, Law No. 462 of the Local Government (Local Government Act) provided for the establishment of district assemblies and metropolitan assemblies involved in several areas. They have legislative powers to create domestic regulations, grant planning permission and development, and applying regulations and sanctions. Customary tenure system and land management applies to 90 per cent of the land little developed and is not homogeneous. Study says although there are considerable differences between the North, South and West, different customary systems have shared the common trait that is “staying strong, dynamic and evolving” in the whole national territory, allowing them to address the economic, social and political development. A land title registration system was introduced in 1986, but it has had an insignificant impact due to its selective application. Existing laws hardly restricts massive acquisition of land. Like in some countries under review most cases of massive acquisition of land are by multinationals, government, and wealthy individuals. However, there were resistance against land grabbing by civil society group and farmers associations. Unlike Togo where access to land for women is very limited, women in some parts of Ghana, especially in the South and Southwest have a small facility for access to land. This situation is partly due to the matrilineal system in force in that country. Indeed, Ghana is one of the African countries where the girl in certain communities has the same right of inheritance as the boy. However, there are situations where access is difficult because of certain cultural considerations. 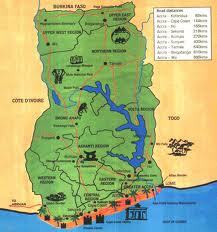 This is the case in South-East of the country which has virtually the same cultural practices like Togo. initiate training for those responsible for the land sector agencies; develop that involve women based on gender. Qatar	Qatar	Governe-ment	Accra 50.000	food crops	ongoing	In December 2010, Reuters reported that the governments of Ghana and Qatar had decided to launch a joint venture to produce food crops in Ghana to export to Qatar. They announced plans to start a project of 50,000 ha. Atlantic Holdings	EAU	Agrobusi-ness	Tema 10.000	Maize	Completed	Africa Atlantic Holdings Ltd is a Dubai based company that invests in agricultural land in Ghana. So far, it has received a 50-year lease on 10,000 acres on the shores of Lake Volta in the Afram Plains District, where she wants to grow corn. . The company was founded by former assistant to the U.S. Congress Jon Vandenheuvel and Kristopher Klokkenga, an American who worked for ADM and Wilmar Africa. It is chaired by Issa Baluch, owner of Swift Group of Dubai, one of the largest transportation logistics companies in the UAE. Africa Atlantic also has a subsidiary, Africa Atlantic Franchise Farms Ltd., which sells franchises to local and foreign investors for the firm managed by Atlantic Africa in Ghana. T4M	Royaume-Uni	Agrobusi-ness	Kumasi 100.000	Rice	Completed	T4M claims to have completed negotiations to obtain 25-year leases on an area of 100,000 ha to 300,000 ha in Ghana and Nigeria. T4M working in partnership with the Government of Vietnam and the support of the British government. The company is looking for investors to inject 425 million U.S. dollars in each farm 10,000 ha it plans to build on land it leased. Jose García-Carrion Spain	Agrobusi-ness	Accra 10.000	Fruits	Completed	The fruit grower Spanish José García-Carrión has acquired 10,000 hectares of land in Ghana, mainly for producing pineapples for export to Europe. They have fancy web page big stories but they are crooks.